100% Welcome Bonus up to C$200! Originally called Casino770 before switching to NetBet in 2008, this online casino offers the perfect combination of traditional gaming and modern innovation. From its headquarters in Malta, this online casino has not only put together one of the best online slot selections in Canada, but complimented them with an outstanding bonus system. Indeed, in 2019, all NetBet players will not only find a game that suits their playing style, but a deal that allows them to spin for free and earn more every time they ante-up! If you can't find a leading slot game at NetBet then it's probably not worth playing. Thanks to partnership deals with many of the leading software providers, this online casino is home to spinners of all sizes and styles. Indeed, one of the benefits of using multiple slot game providers is that you can offer just as much variety as quality and NetBet certainly hasn't skimped when it comes to either. Whether you're into jackpot games, video slots or classic fruit machines, NetBet has all the top offerings from the following developers and more: Net Entertainment, Microgaming, Bally, NextGen Gaming, iSoftBet, Quickspin, GameArt, Novomatic, Amaya and IGT. If there's one way to describe the NetBet interface it's filters. Trying to cram upwards of 300 slots into a single page isn't easy, nor is it conducive to a pleasant user experience. 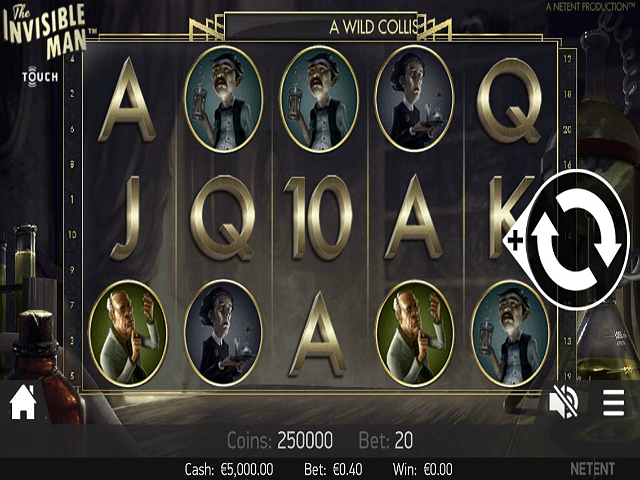 To counter this, NetBet allows you to filter its selection of games in three main ways. Naturally, each heading does exactly what it says on the tin and, once you're inside either lobby, you'll be show a list of games boxes relating to your search. A-Z | Although something of a secondary feature, the A-Z or Z-A does make it easier for you to find a game you might know only by part of its name. In fact, when you combine this with the search box on the same toolbar, it makes site navigation extremely simple if you know what you're looking for. Style | Once you've entered a slots lobby, the left-hand side of the page will offer you a sub-menu of styles. Comprised of options such as "animals" and "as seen on TV", this filter is great for players that known the types of games they like, but not necessarily the names. Star Rating | The final feature that helps the usability of NetBet is its star rating system. Attached to each game tab is a row of five stars. Each player has the ability to rate a game to help other players decide which slots are hot and which ones aren't. 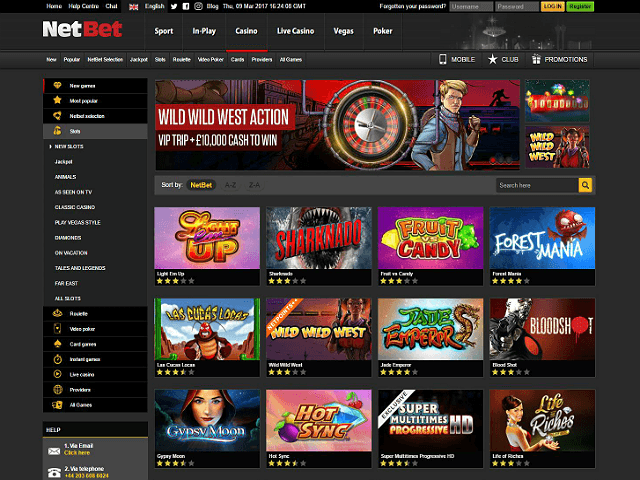 When it comes to style, variety and exclusive offerings, NetBet has an impressive selection of slot titles. From industry classics offering mega jackpots to unique options you won't find anywhere else, the really are more than enough slot games at NetBet to keep even the most demanding players happy. In terms of quality and popularity, NetBet has you covered with its casino's selection of 420+ top titles. Does NetBet Casino Offer Progressive Jackpot Slots? Like all seasoned slot providers, NetBet has slew of progressive jackpot offerings. Housed in their own tab, the 20+ progressive jackpot slots not only carry some familiar themes, but offer some of the biggest prizes in the industry. In fact, just so you know how much potential value there is in each of the jackpot slots, a live counter is displayed on the game tab. So, before you ante-up, you'll know how many millions you stand to win. Can Players Demo NetBet Slot Games for Free? Successful slots play is all about knowing the basics before you ante-up and NetBet allows you to do those courtesy of its demo slots. Aside from some progressive jackpot titles, such as Major Millions, NetBet allows you to play free slot games whether you're a registered member or not. After scrolling through the lobby and finding a game that tickles your fancy, you can hit the "demo" button to have a free slots experience. 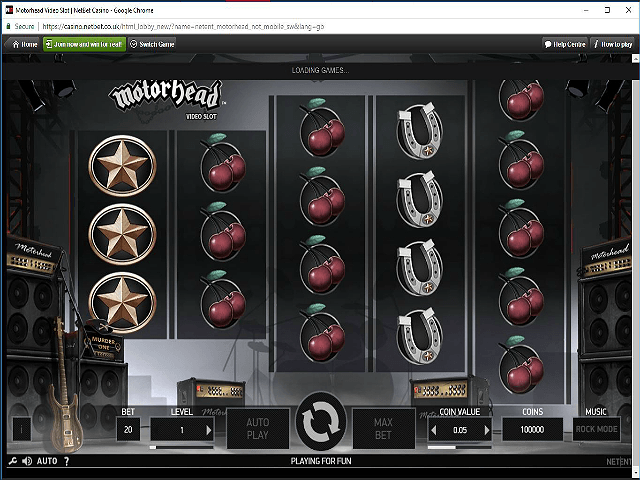 Offering all the functionality of the real thing, the demo slot games allow you to learn the basics, have some fun and, importantly, find the games you enjoy the most. 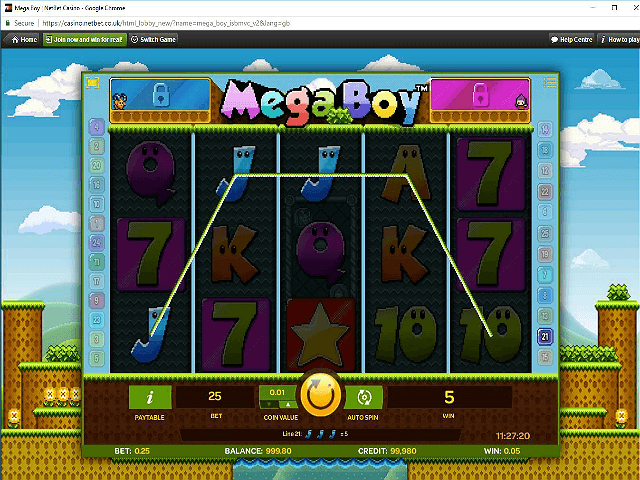 Once you've tested out the latest games for free, you can simply create an account, make a deposit and hit the "play real" button and you'll by spinning for some serious jackpots in no time. If you're looking for something beyond the instant deposits and withdrawals that take between 2 to 8 days to process, NetBet also lets you fund your account using Bitcoin. One of the latest payment options out there, Bitcoin is extremely secure and Neteller customers can use it to an online casino deposit between $10 and $5,000 for free. As a newbie at NetBet, you'll be entitled to a 25 free spins no deposit bonus as well as a welcome casino bonus worth up to $200. Based on a 100% multiplier, this exclusive offer might not be the biggest in Canada, but it is one of the easiest to clear. Indeed, unlike other offers of this kind, you'll have to stake just 30X the bonus amount before it can be withdrawn. Game of the Month | Win up to $100 when you stake just $1 on the slot of the month. Starburst Milestone Free Spins | One of the best slot bonuses in Canada, this deal is designed to reward random players with serious prizes each time Starburst reaches a new milestone. Wednesday Free Spins | Deposit and wager $10 every Wednesday and you'll get 10 free slot spins credited to your account. Safe, secure and straight as a die, that's the best way to describe NetBet's commitment to customer service and support. The casino is officially licensed by the UK Gambling Commission which means that it's subject to some of the strictest regulation in the world. Indeed, everything from the fairness of each game (verified by eCOGRA) to the way your money is processed (128-bit encryption) and stored is overseen to ensure you have the most enjoyable experience possible. Not only that, but if you find yourself in trouble at any time, you can contact the customer support team 24 hours a day using one of the following methods: Email, Phone, and Live Chat.